How we work now is killing us… because we’ve taken the sacred out of work. At Turtle Tank, we believe that being in love with HOW WE WORK, being in love with our creation process (not our product, outcome or solution) is what makes life worth living, what births truly radical works, projects, enterprises and movements. Having a love-based creation process uniquely designed for and by us is what aligns us with a state of personal and collective well-being. We share a framework to help you design a creation process you can fall in love with. This is our ongoing current campaign #MeFirst. 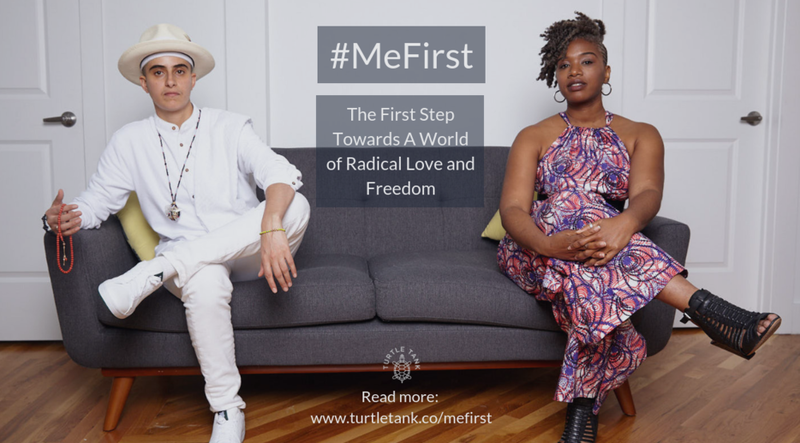 It features a series of stories from our community about how putting themselves first has revolutionized their lives and work, creating more impact than ever before towards a world of Radical Love and Freedom. As queer people of color who identify as Radical Creators, Radical Entrepreneurs and Radical Leaders, we are expected to serve. Most often at the cost of our own lives, even and especially in our radical movements. We are expected to meet everyone’s needs, to appease, to erase ourselves in the name of the whole, of the collective. To put ourselves last in the pursuit of Love and Freedom. Our erasure and the erasure of our desires is expected. Our self-sacrifice is consciously and subconsciously framed as “radical”. To that we say: ENOUGH. It’s time to put ourselves FIRST. This is our free and public Facebook group where you can access the most fundamental aspects of our framework, curriculum, tools and resources. Through this space, we engage with a range of Radical Creators, RadicalEntrepreneurs and Radical Leaders a few times a year. 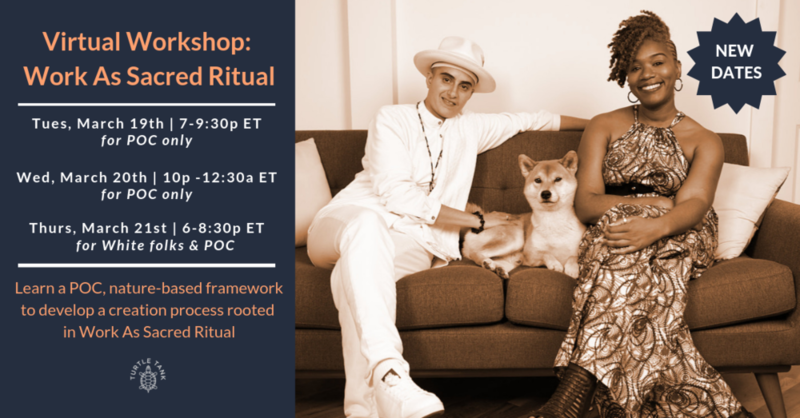 Workshops available by application to Radical Creators and Radical Entrepreneurs looking for a communal, hands-on, ongoing radical learning ecosystem focused on healing, self-development and implementation to create Radical Projects and Enterprises. This is where you learn the fundamentals of our natural art/science of creation framework. We provide core workshop series throughout the year. Available by application only to growing and mature entrepreneurs looking for a communal, hands-on, ongoing radical learning ecosystem focused on healing, self-development and implementation. We open our doors for registration 1-2 times a year. Applications are now closed but make sure you sign up to our mailing list to stay tuned! Available for entrepreneurs who require more intensive attention through major crossroads. If you are a mature entrepreneurs or run a mature enterprises and require custom strategic support, please contact us through Whale Wonder. Available by request. If you're interested please contact us here. Looking for something else you want us to offer? Contact us here.